+7 STAMP FULL SERVICE HISTORY. Only ONE Registered Keeper from New, Recently Serviced, Fully PDI Checked, 7 Stamp FULL Service History, LOW Road Tax Band, Next MOT Not Due Till October 2019 & Done Only 77,000 Miles. Spec Level Includes Bluetooth Stereo with Audio Streaming, Climate Control, START/STOP Engine, 6 Speed Gearbox, AC, Both Heated Windscreens, Electric Wing Mirrors with Built in Indicators, 4 Way Electric Windows & Multi Functional Steering Wheel Controls. Featuring a sleek exterior design with sweeping curves and characterful styling cues, the Toyota Auris is certainly a head-turner. The interior of this hatchback is just as well thought out, and there's plenty of space available for the family. Performance is commendable and being a Toyota, reliability issues won't give you sleepless nights. 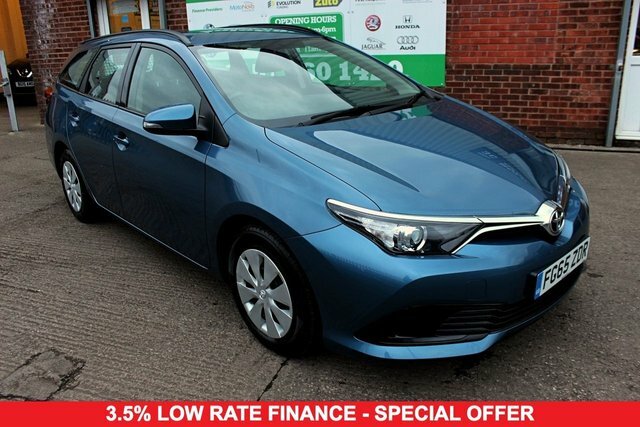 Start off by paying a visit to our showroom and taking a closer look at the range of used Toyota Auris models for sale in Liverpool. We stock a wide selection of quality used cars with options to suit every budget. Contact the team at Solo NW Limited now to find out more.